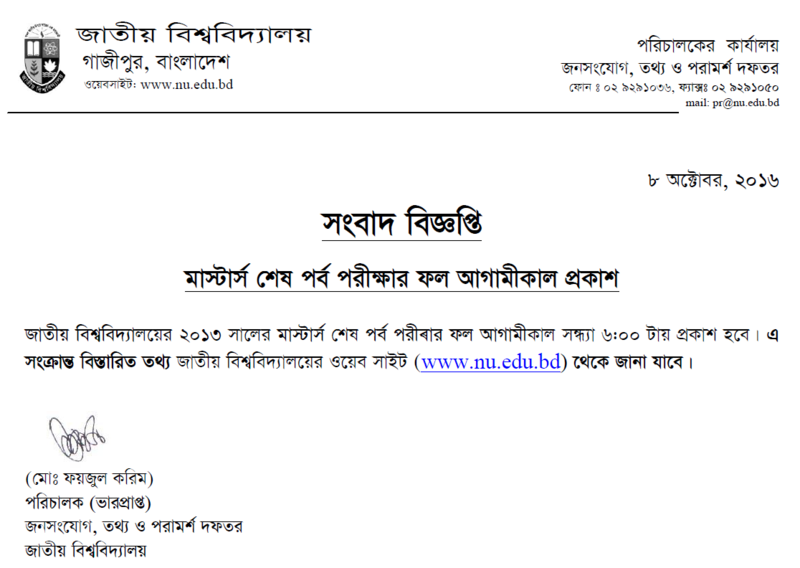 Masters Final Result 2013 of National University has been published. You can get your result from our website. See the notice below. www.nu.edu.bd is our national university’s website. It seems like very good to know that: Nowadays our country’s education sector has used the latest technology. But the real talk is: While the national university published any kinds of the result; the server of the national university has been stooped. Nu.edu.bd has shown 404 error, server not found or service not available etc. National University has a lot of session jam. As a result, students are a victim of valuable year lose. National University Masters Final result is the 2013’s exam, But National University Masters Final Exam 20136 held in 2016! and the result is available on 9 October 2016 at 6.00 PM! It is amazing for every student and guardians! After publishing every result; the official website of national university nu.edu.bd has offed or it can’t live for the result seeker. Because National University has a lot of students and these student going nu.edu.bd to get his result. While all the examine browse or logon the website; the website was down for the bandwidth capacity. As a result, examine can’t download or get his result quickly. How to get National University Masters Final Result 2013 Via SMS? Write this message below on your write message option from your mobile phone. I think you have already learned about how to get your National University Masters Final Result 2013 result via your mobile phone SMS or Massage. 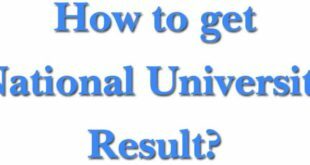 How to get National University Masters Final Result 2013 with Mark Sheet? After getting the result every student want’s to get the full result. I mean, they want’s get their obtained marks. So Nu-Result.com has shared some important information or tips to get the mark Sheet. You will find your mark Sheet here. Just fill up this form carefully with the captcha and click on the search result button. A new pop up window will open and if you have send the correct information; you will receive your result with obtained marks. How to get College wise result? Download College Wise result in very easily. 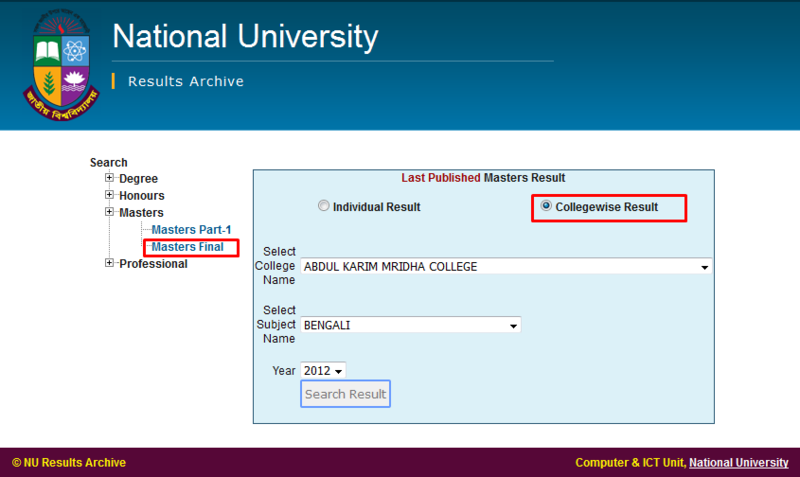 Go to Nu-Result archive and select Masters Final form the masters’ option. Now click on the College wise result radio button. Then select your required college name. Now select your subject and year. After finishing this information giving system; Now you can click on the Search Result Button. A Pop-up window will open and you will find the college wise result.